I sat in my kindergarten classroom distracted by the other ruffians, the possibilities of the cloudless sky outside, and my teacher's shoulder pads. Idly playing with my hands, I picked at a patch of road rash from a bike accident a week earlier. Quietly ticking over Mrs. Basham's shoulder, the big hand crept towards 9 and the promise of wall ball and the creaking swing sets. The moment the bell rang, I knocked over my chair as I scrambled to the door. Seventeen years and 3,300 miles away from the linoleum floors of my cold war era elementary school, I pass time in the final classes of my conventional education, checking my watch with the same eagerness as an ADD five-year old. Excited by the prospect of new experiences and a faster pace of life, I kick back in my chair. Instead of staring into the depths of my small hands, I flick and tap on the screen of my iPhone taking pictures of my last month of college. Colby's woodshop in Sidney, Maine. My last field trip, Belgrade, Maine. 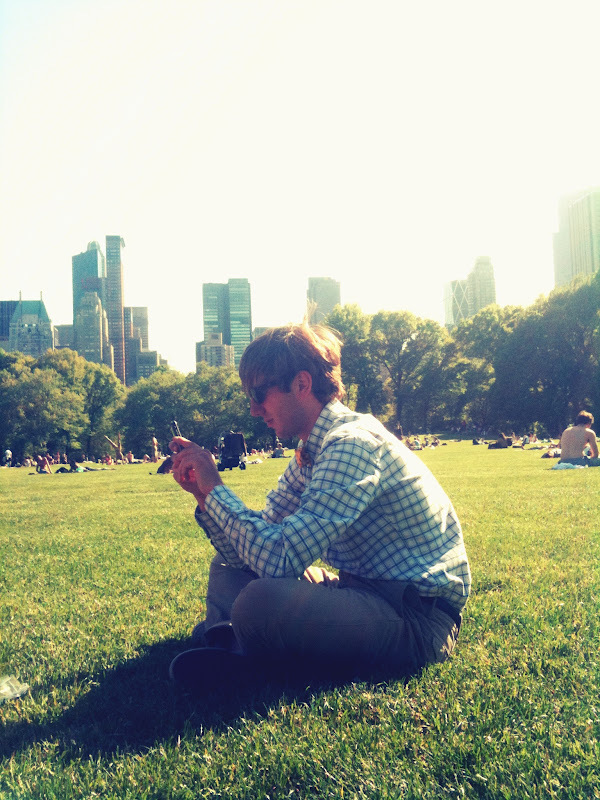 Spending an afternoon in Sheep's Meadow, Central Park. 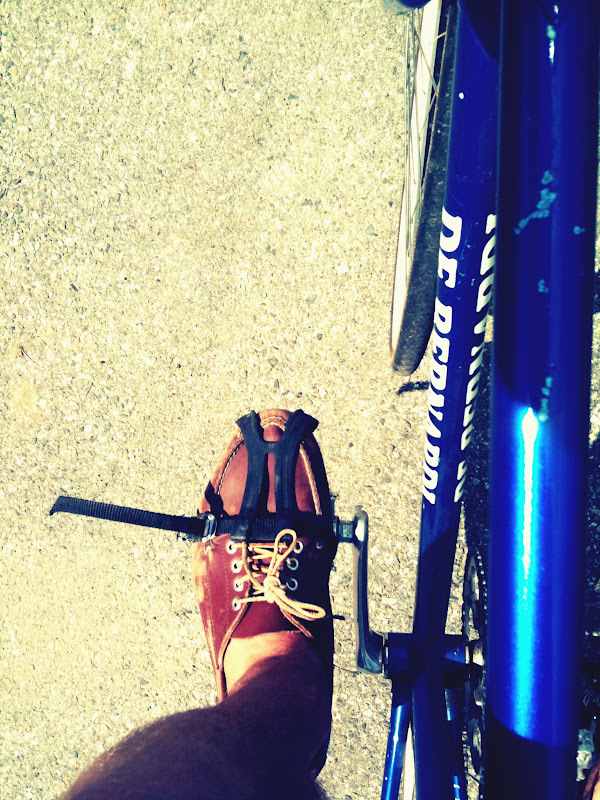 Riding my De Bernardi, Waterville Maine. 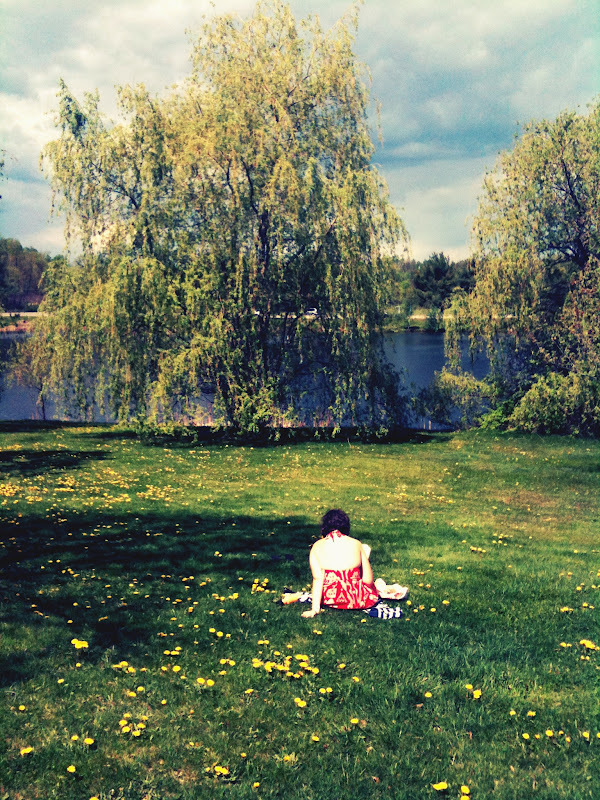 Sitting by the Johnson Pond, Colby College. A Frito Bandito in Vermont. Hopefully this time, I won't knock over the chair. All of these photos were taken with my iPhone 3Gs and filtered with Colorcross from Camerbag. Today at 3:30 PM, I relinquish my title as Foster Huntington, Junior at Colby College and assume a more daunting one, Foster Huntington, Senior at Colby College. I have never liked school. In elementary school, I struggled with dyslexia and showed little promise as a student, finally learning to read and write at my grade level in the fifth grade. In order to make it, I learned to focus on the subjects where I had the potential to do well and avoid the subjects, such as spelling (I am 20th percentile speller), where my dyslexia prohibited me from succeeding. Instead of writing out homework assignments by hand, I learned to type and use a computer to spell check my work in middle school. Why fight losing battles when I can fight other battles as a favorite? My sheer lack of proficiency at some tasks and ability at others gave me a lifelong sense of humility and confidence to realize that it's okay to be different. For the longest time, I resented going to Colby. I don't identify with many of the students blindly pursuing careers as doctors, lawyers, or investment bankers. I was frustrated by getting C-'s in my math classes despite getting an 800 on my Math SAT. I missed the Northwest's progressive attitude and recognition of passions other than the Red Sox and Patriots. However, recent conversation with my roommate Nick (follow him on twitter! ), made me realize that going to a highly competitive, homogeneous school like Colby has accentuated my unique traits and forced me to pursue interests specific to my skill set. A very smart man and mentor to me once said, "College is effectively four years of excused unemployment, so take chances and try things while you have a safety net." Taking this concept to heart, I have led an atypical college experience, pursuing many interests outside of school with the hope of finding something that I enjoy and excel at. I have sold hundreds of shoes, run a laundry business into the ground, started a website that allows snowboarders, skateboarders and surfers to define lingo, and was a signature away from dropping out of college to start a tech company with a few friends. None of them were home runs and I doubt that in my one year left on Mayflower Hill I will find my calling, but I think I am finally pointed in the right direction. 12 PM Walk Out (Picasa).